This week, we're talking 5 of my fave happy hour spots in Fort Collins. And yers, these are 1 - 5 faves, based on what I at 27 hope for in a happy hour: inexpensive, plentiful, fun atmosphere (willing to compromise on this one sometimes). There's many, many spots in this town, so this is a narrow list (and there's so many good ones not on here! ), but whether you live in Fort Collins too, or visit sometime, check some of these spots out! New to the Friday Five and wondering what's up? Check out past weeks for more fun topics - scroll back in my posts! Illegal Pete's sits at number one for several reasons: rooftop bar with a view of downtown, Happy Hour that daily runs from 3pm - 8pm on margs, beer, etc., each drink ordered comes with it's own basket of chips. It's like a local Chipotle; they have a couple of locations in Colorado and one in Arizona. Also, if you hit them at breakfast, Breakfast Bowls and Burritos = $4.49. The Mainline makes my list for several reasons as well. 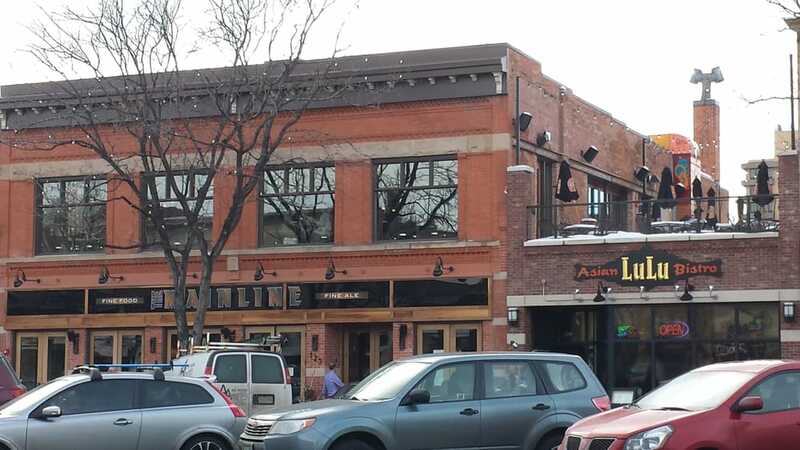 They sit on downtown's main strip, College Avenue, local to Fort Collins, with a full downstairs, upstairs, and rooftop patio, daily Happy Hour 3pm - 6pm with drinks from $4 - $5 and snacks from $2 - $11. Here's their Happy Hour Menu (scroll to the end). Also, if you're looking for dinner, they have a wide variety to fit all different eaters, and we love it. The Emporium Kitchen & Wine Market is newer to Fort Collins and sits on the main floor of The Elizabeth Hotel, an autograph collection, boutique hotel in Downtown Fort Collins. It is fabulous! Their Happy Hour runs 3pm - 6pm and includes a variety of drinks ranging from $5 - $6 and appies from $4 - $8, including charcuterie options. Here's their Happy Hour Menu. Worth checking out! Indoor/outdoor seating with fab architecture in this new, local FoCo spot. Union Bar & Soda Fountain is another one of the newest additions to the downtown restaurant scene in Fort Collins, and it is oh so good! On Wednesday they have an all day happy hour, and a ton of delicious comfort food that is cooked up in a unique way. Add that to one of the best patios in Old Town, plus alcoholic sundaes and other specials from the soda fountain? Yes please! Plus, it reminds me of a restaurant down at the beach called The Gulf which makes me laave it even more! 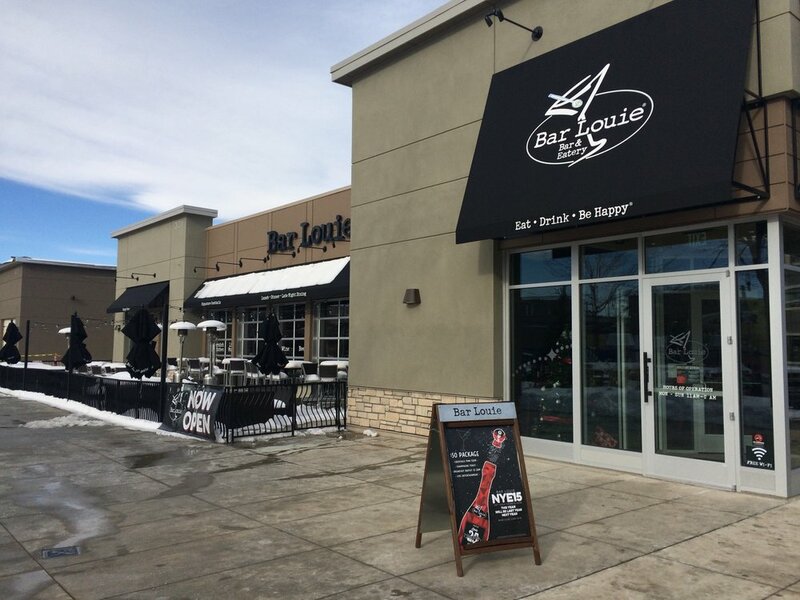 Bar Louie isn't local to Fort Collins, but it is a fab Hour Hour spot located a bit more central (the rest on this list are in the Downtown/Old Town area of Fort Collins). They run Happy Hour weekdays 4pm - 7pm, with $3.50 drafts, $4.50 wines, and half-priced select apps and flatbreads. YUM. Indoor/outdoor seating and a lot of it! Check it out. 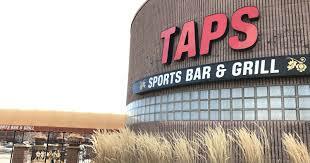 RIP honorable mention: Taps (Insert crying emoji) Fort Collinsers...WHO REMEMBERS TAPS? It was this glorious, terrible Sports Bar at College & Boardwalk. All Beers were $2.50 on Tuesdays after 6pm. Then it closed and is now a Korean BBQ place. Sigh. We miss you dearly Taps. So...what do you think? Do you love any of these spots?